2" High x 2" Wide x 2-1/2" Dia. 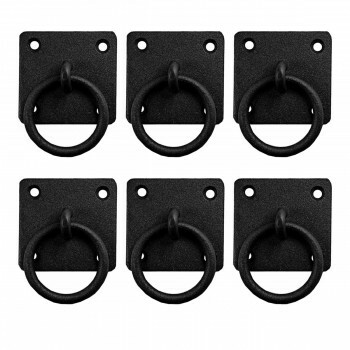 This set of 6 highly durable pulls crafted from black cast iron is popular on drawers and cabinet doors. A sleek detail for a modern look or for that Old Colonial charm. 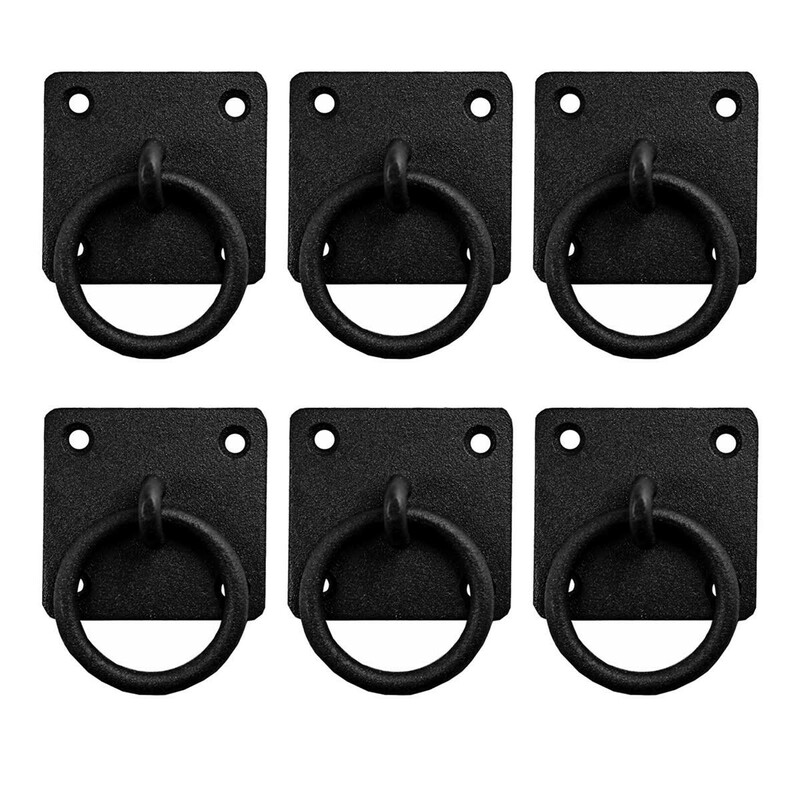 Protected by our proprietary rust-fighting RSF finish, these ring pulls will last for years to come (whether they're indoors or outdoors). Includes Slotted Pyramid Head Screws Intended for Indoor Use. This product was perfect for what I wanted. I was building a ceiling light which I suspended three lanterns which I electrified with 40 watt candle style light bulbs. 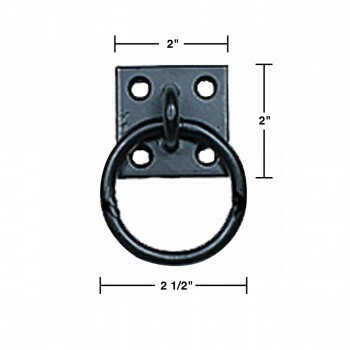 I used these rings (drawer pulls) to attach the chains holding the lanterns to the oak ceiling fixture. 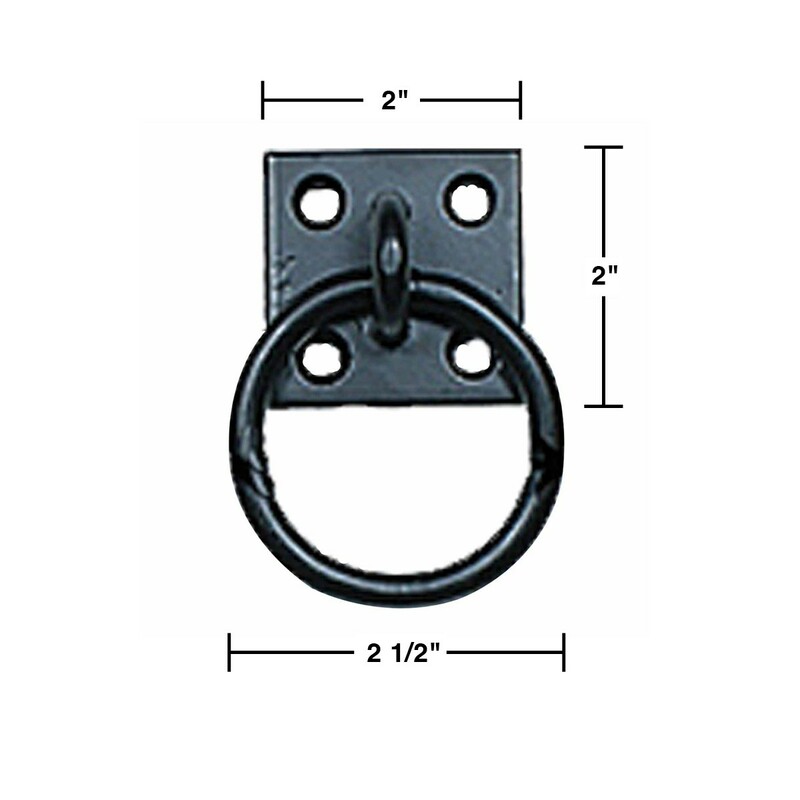 These are very sturdy and look great (very rustic / colonial looking).